I first saw Slade House on the seasonal showcase table in Waterstones, just before Halloween. That day I was browsing for something scary and suspenseful to celebrate the witching season. Despite having loved The Bone Clocks, I put this one back on the table. To me, the yellow cover and hardback format screamed "serious novel", not one which would draw me in and keep me on my toes until the very last page. How I wish I'd chosen this instead of the silly (still unfinished) paperback I'd taken home instead! 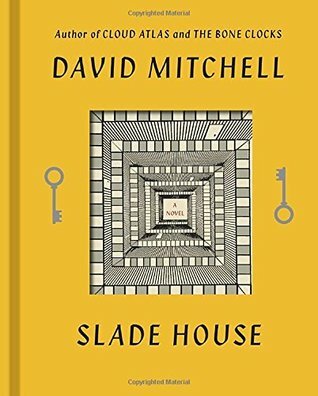 I absolutely loved Slade House, and plan on reading it again for myself this coming Halloween. Unless, of course, David Mitchell spoils us all by releasing another story of this type! Rating: 5 our of 5 stars.